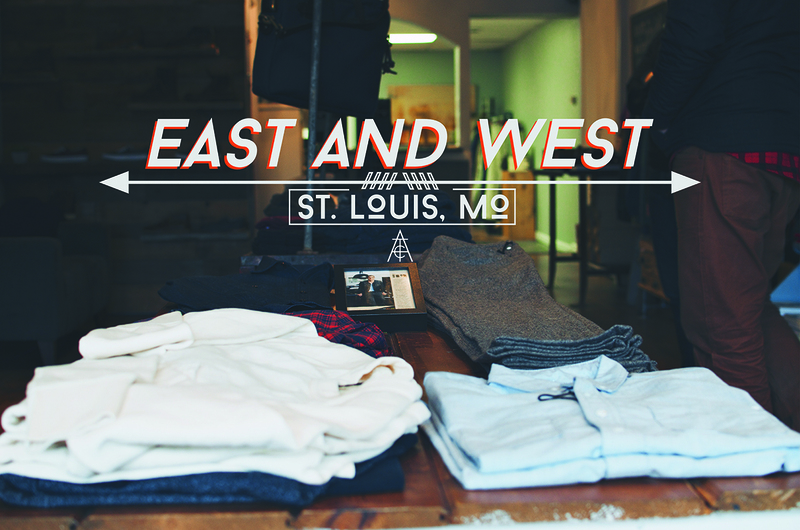 I had been hearing about East & West in St. Louis for a while; being from the area and still having a few friends there, they’d always tell me how I had to visit the shop next time I was in town. I went a year without going back to St. Louis so when I did around Thanksgiving, I made damn sure to check the place out. Brian Simpson runs an incredible shop, which is actually located in the Kirkwood neighborhood, just a little south and west of the city. 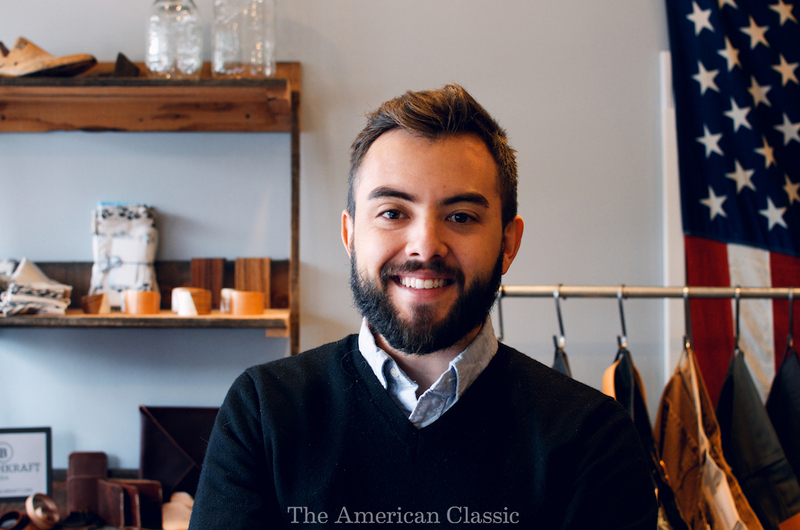 I was blown away to find out that he carries brands like Rogue Territory, 3sixteen, Teranishi Brand, Apolis, and more. 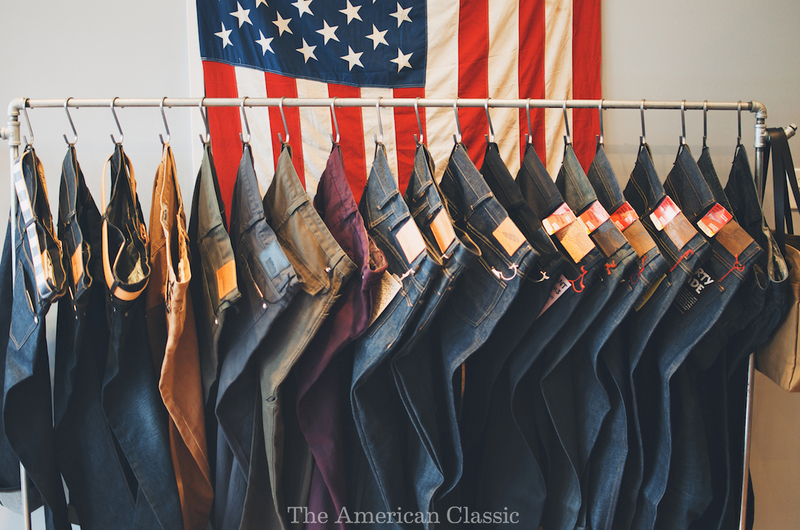 Not only are these all brands we’re huge fans of but any top level shop you’ll see in major markets carries these brands as well. I’d be lying if I said I didn’t feel a little hometown pride. Click here to view the interview and photos. St. Louis has come up in the world in recent years: tons of new coffee shops (as mentioned previously in our Blueprint Coffee article), new bars, great venues, plenty of free activities. Adding to the number of independent shops in a town is crucial to the growth of a city in terms of retaining residents, improving walkability of an area, and keeping areas desirable for visitors. Kirkwood has always had a “Main Street USA” vibe; the place looks like a scene from some idyllic 90’s film at the Farmers Market in the summer and “It’s A Wonderful Life”-esque Christmas decorations in the winter. 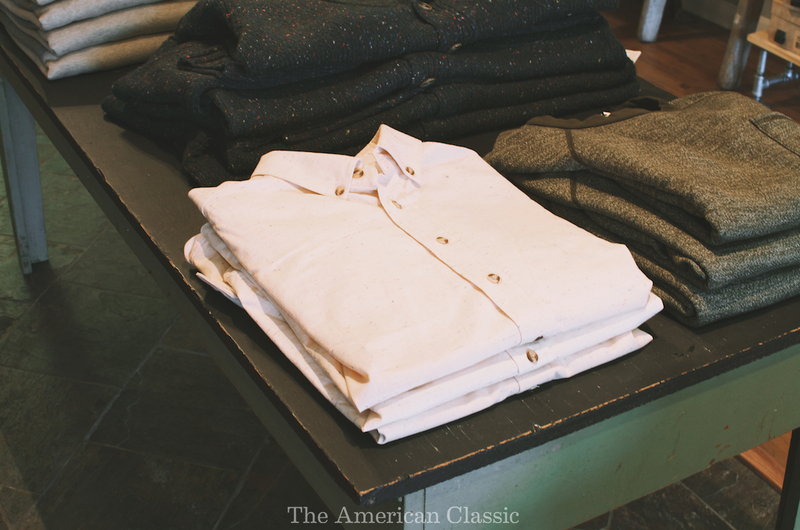 East & West compliments that well by bringing a more modern approach to mens clothing to the classic American street. 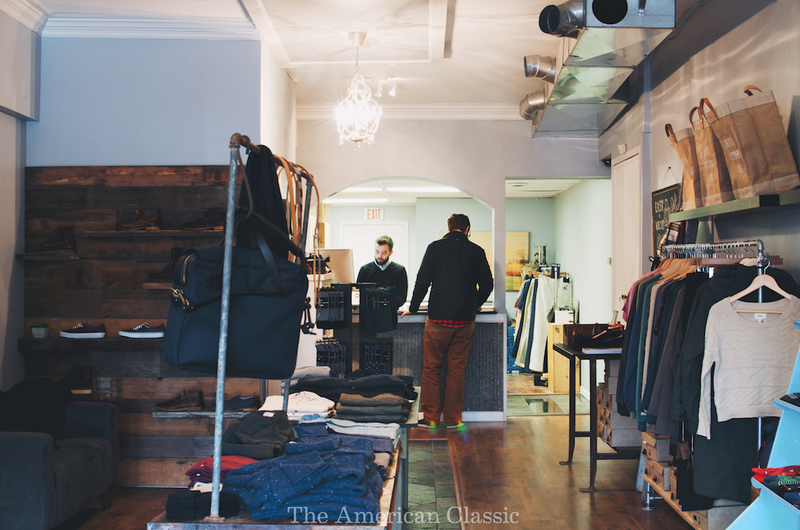 By bringing in newer brands, East & West is able to bring a younger and more vibrant clientele to the area. What was the process of opening East & West and what was your inspiration to do so? The process of opening East + West happened in what I like to see as two different phases. 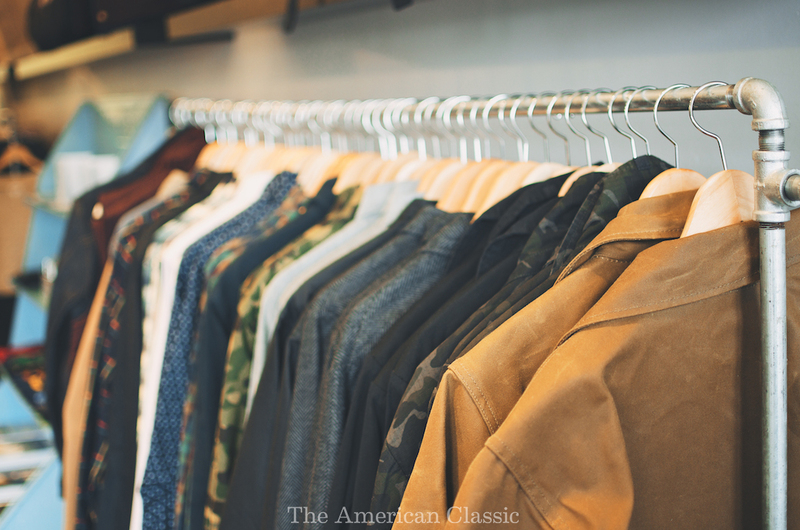 I’ve long had the inspiration to open a men’s clothing store for nearly 15 years. Luckily some of those initial iterations of the shop that I had planned never came to light! My experiences through travel,music, food, etc have really shaped me and I longed to bring something to my hometown that I was experiencing in other cities and countries. Aside from carrying clothes from brands that I believe are doing great things, I also wanted to create a shop and experience that was built on creating relationships, great service, and building a community. I made the decision to finally pursue opening the shop on a trip home from San Francisco a few years back. Thus a couple years of planning, meetings, saving, and lots of hard work led to the shop opening in July 2012. Talk about your experience as a new entrepreneur in an older neighborhood like Kirkwood. Being in an older neighborhood as a new entreprenuer has been a great experience. The community around us is extremely supportive of small businesses and it’s exciting to think about the rich history of the Downtown Kirkwood business district. Personally for myself, I’ve been frequenting establishments around this particular neighborhood for nearly 30 years, so there are many fond memories for me as I walk the familiar streets each day. Also, it’s been a great learning experience as I’ve been able to listen/learn from several business owners who have been in business for many years. I think they appreciate my passion and energy and see a bit of themselves in me from when they were first starting off. 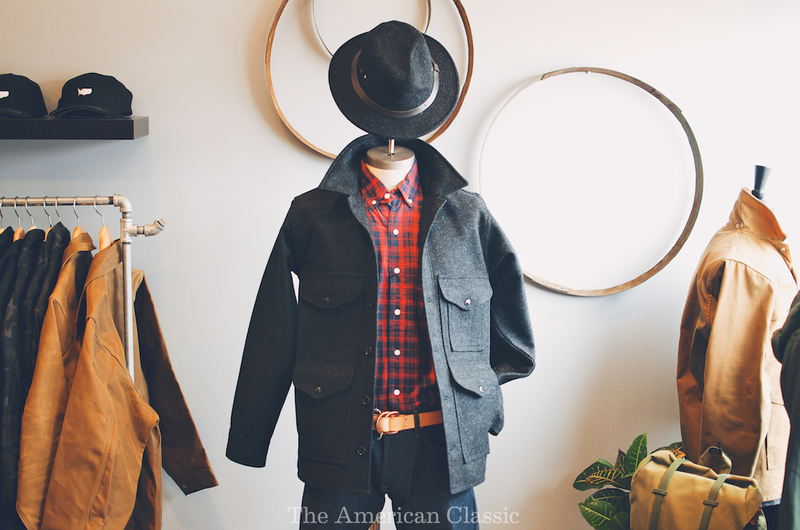 What are some of your favorite pieces in the shop right now? Right now Baldwin and Rogue Territory would have to be at the top of my list. Each season their collection seems to get stronger and stronger and our customers have been responding really well to them as well. In particular, the Indigo Crew Pullover from Baldwin & the Campus Jacket from Rogue Territory are my “go-to” pieces for FW13. What are some of your favorite brands that you discovered after opening? Teranishi and Cause & Effect. I was introduced to Teppei Teranishi through a mutual friend after the shop opened. I really appreciate his minimalist approach as well as the functionality of every single one of his pieces. Each piece is really a work of art. I first met Billy (from Cause & Effect) in New York about a year ago and immediately thought it would be a great addition to our shop. Each belt he makes is unique in it’s own way and the fact that he crafts the entire thing from start to finish is so cool. It’s really neat because people of all ages really appreciate his work and want to be apart of his story. 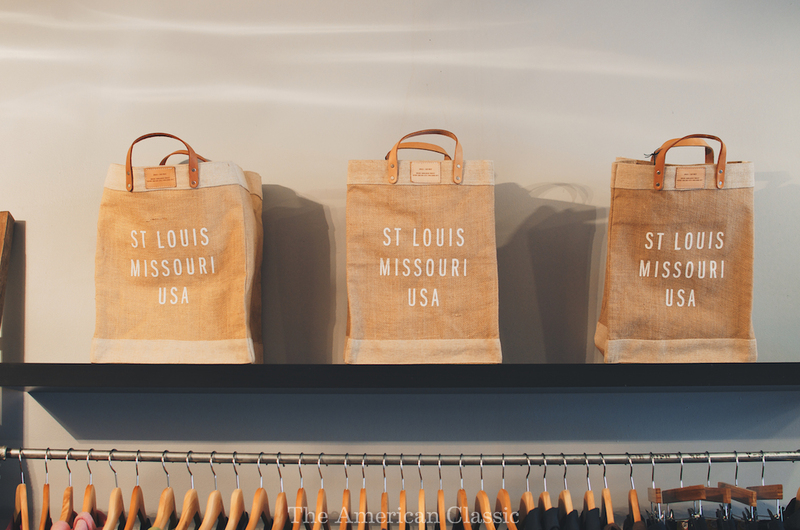 You recently partnered with Sump Coffee in South St. Louis for an event. Are there more like this coming? We had a great event with Sump Coffee and we were extremely pleased with the turnout. They setup a pop-up brew bar in the shop and did pour overs for our customers. We love good food and drink, so we definitely plan to have more events in the future. We have a few events planned for 2014 which will showcase craft cocktails, local breweries, and other speciality food items. We’re also working on the details to host a pop-up dinner event. Also, we plan to have a couple events showcasing local makers, much like the one we did this past year with Benchkraft. What’s on the horizon for East & West? 2014 is going to be an exciting year. We plan on rolling out our new online shop (long overdue!). 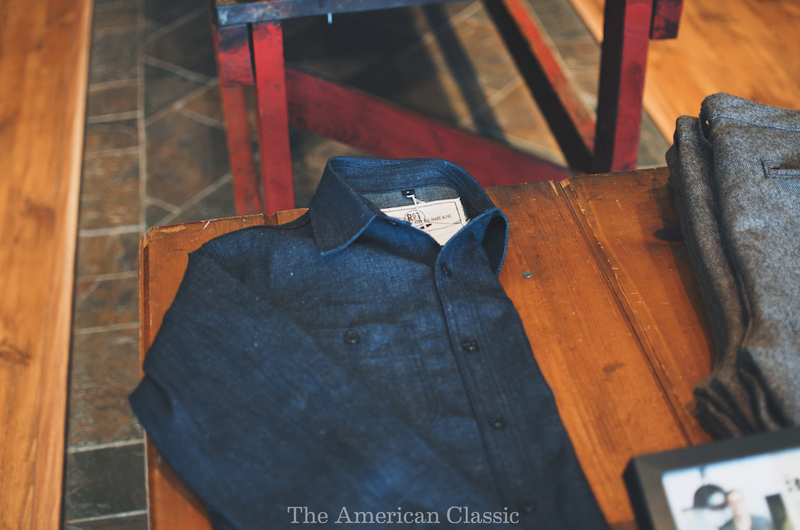 We’re also set to release our first season of “East + West” shirting that will all be manufactured in the USA. That will debut in Spring 2014. Those will keep us busy and we have a few other things up our sleeve but that will have to be a surprise for now! East & West is located at 205 N Kirkwood Rd, Kirkwood, MO 63122. They are closed most Mondays, though available by appointment. If you’re in the St. Louis area and have a set of wheels, I highly recommend making the short trip to check this shop out. 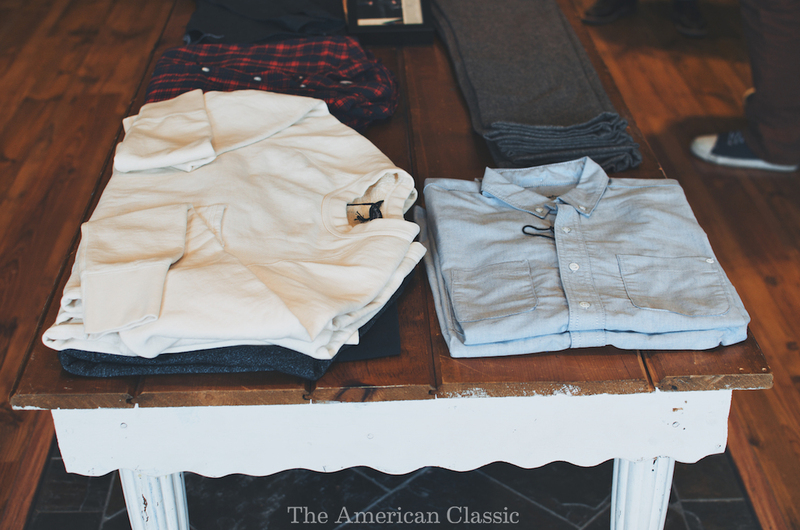 A great selection coupled with amicable personality always makes for a great visit, whether you’re buying or just looking around. Will definitely take a few minutes to swing by there when the Truly Brave Films team heads west. We’ll chat before then. Got some people for you guys to see when you pass through.